Custom die cut magnets possess enough ability to impress any viewer with their genuineness. These typically shaped magnets make good promotional items at all times. It is well suited to market any kind of business, promoting an awareness program or celebrating any occasion. At CustomMagnetsDirect.com, we offer a vast collection of custom die cut magnets arranged in ascending sizes. Buy this unique fridge product from us and enjoy assured, inexpensive, and effective brand promotion. These custom magnets can be availed in a myriad of shapes, colors and sizes with popular choices such as die cut car magnets, die cut fridge magnets, adhesive photo magnets, etc. 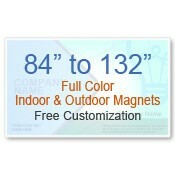 Be one step ahead from your competitors by purchasing these customized die cut fridge and vehicle magnets from CustomMagnetsDirect.com. These personalized die cut magnets are extremely impressive, fun, and budget-friendly. Everyone would love to stick these magnets over their refrigerator doors, file cabinets or toolboxes due to their typical shape. These customizable magnets can bear your logo, contact information, and slogan over them with the colors of your choice. Personalized die cut magnets make a great giveaway during tradeshows, business convention or corporate events. 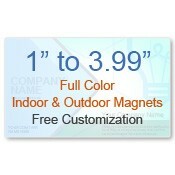 It can be offered along with festive purchases or as a complimentary gift depending on the choice. They make a great asset to any campaign and can even become an independent relationship builder without any effort. Do you have a unique shape in mind? 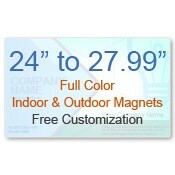 Have you found your magnet in this collection? If not, approach us with your requirement at 855-762-4638 (Toll Free) or mail us at info@Cmagnets.com. Call us to know about special quotes for bulk orders. Free art setup, free design assistance, free online design proof, and free shipping are value advantages offered on all orders.